The Roland name is synonymous with superior digital printing equipment performance, reliability, service and support. Roland's inkjet family includes a wide range of technologically advanced, yet user- friendly, color printers and printer/cutters designed to suit the varying needs of graphics and specialty imaging professionals. 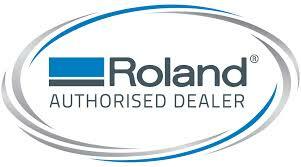 Image Junction Sdn Bhd are the authorised ROLAND dealer since year 2012.